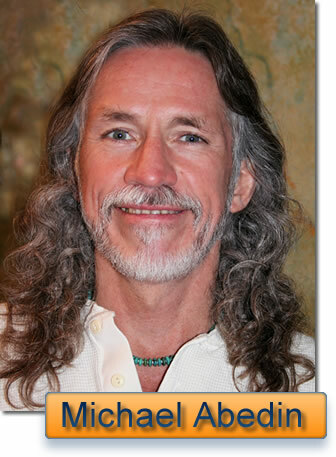 "BESTSELLING AUTHOR DR. JOE VITALE, GUITAR MONK MATHEW DIXON, AND THEIR TEAM OF EXPERTS, WILL BE LEADING A LIVE TWO-DAY ADVANCED HO’OPONOPONO TRAINING MARCH 10TH - 12TH 2018 IN WIMBERLEY TEXAS." This will be the most in-depth training ever offered on the understanding and use of ho’oponopono in many areas of life. Seating is strictly limited to 150 people. Note: Only those who are already certified as ho’oponopono practitioners can apply to attend. This event was on March10 2018. Please sign up below to get on the waiting list for the next Ho'oponopono LIVE! Event. On Sunday afternoon you will be able to attend an additional training session where you will gain the credentials required to become one of Dr. Joe Vitale's new Ho'oponopono Healing Master Practitioners. The number of calls we get about help with practicing Ho'oponopono and including it in the daily routine is astounding! So much so, that we want to create a team of Ho'oponopono Master Practitioners and mentoring program to accommodate all of the people raising their hand for help. Now more than ever folks are looking for ways to lead a more peaceful contented life. The Cleaning and Clearing power of Ho'oponopono is the best thing we know to help people to learn and we need your skills and expertise. On Sunday afternoon you will be confirmed and certified as a Dr. Joe Vitale Ho'oponopono Healing Master Practitioner. 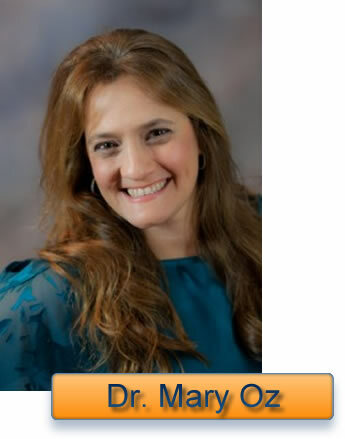 If you desire, you can then become part of the staff of Dr. Vitale new mentor program! Dr. Joe Vitale's work with Ho'oponopono began with discovering and then telling Dr. Hew Len's story of healing an entire facility of patients with the most extreme psychological problems...without ever stepping foot into the facility itself! That was over 7 years ago and cleaning and clearing power of Ho'oponopono has been confirmed to Joe over and over again every day since then. The miracles that have been reported back to Dr. Vitale and his team have been astounding. Joe has written books, created music, recorded meditations, and has created the powerful Clearing Event Series where he uses Ho'oponopono as the healing method for everyone on the call regardless of what needs to be cleared within them. 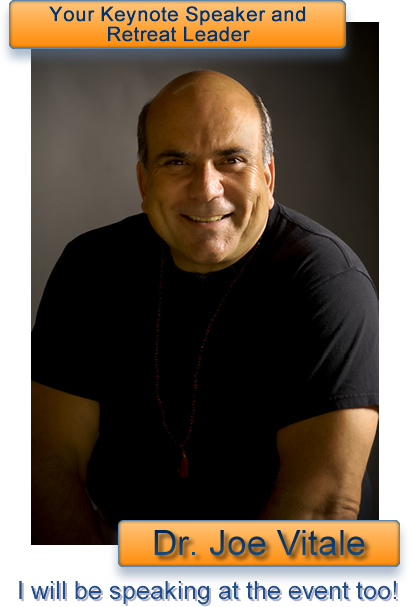 You are about to discover and learn the advanced practices Dr. Joe Vitale need you know to become certified as a Ho'oponopono Master Practitioner. This weekend will be simply amazing...because you are simply amazing! 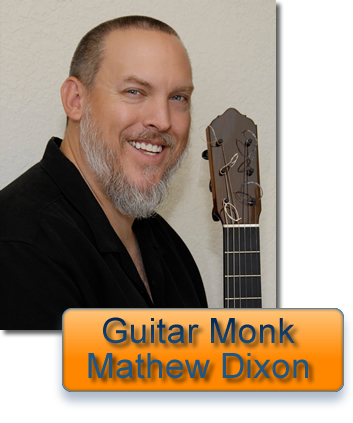 Guitar Monk Mathew Dixon is a world-renowned Ho’oponopono Healing Music Producer. Mathew has co-produced several audio products with Dr. Joe Vitale, including bestselling healing audio "Aligning to Zero" and its sequel "At Zero”. After co-creating the Beginners Ho’oponopono Practitioners Certification with Joe Vitale, Mathew and Joe felt there was a real need to go even deeper into Ho’oponopono and to share advanced techniques and studies. Mathew will be discussing the use of Ho’oponopono infused music and its ability to align spiritual vibration, clean data/memory and clearing your ethereal passages for Divine inspiration. What if you could be more in tune with yourself? What if you had a strong mind/body connection? What if you had control over your subconscious thoughts? In this powerful presentation, Dr. Steve G. Jones, Clinical Hypnotherapist will teach you about hypnosis and how to re-program yourself, enabling you to better practice Ho’oponopono. Dr. Steve will even be sharing an empowering hypnosis session! 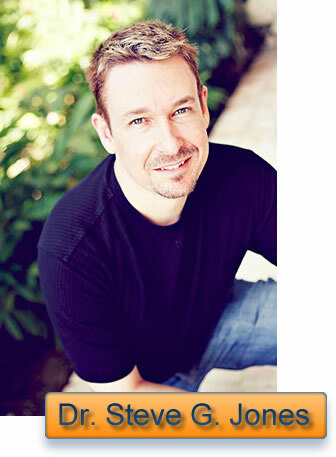 Dr. Steve has been featured on Bravo’s Millionaire Matchmaker as both a hypnotherapist and a millionaire. Additionally, Dr. Steve has been interviewed on CNN, ABC, NBC and CBS. Are three different healing systems really the same? In the course of about a century, Mikao Usui created the hands-on energetic healing art of Reiki, Dr. Edward Bach created his famous flower remedies for the mental and emotional states that can lead to physical disease, and Dr. Hew Len adapted a traditional Hawaiian form of conflict resolution into a simple and elegant form of healing. Are they completely different, or just different tools to do the same job? Learn about Reiki and flower remedies, how they relate to Dr. Hew Len’s powerful four-sentence technique, and how they all come back to the same principle – all in an entertaining presentation that includes simple exercises, an instant demonstration of the Law of Attraction, and maybe even a couple of bonus jokes. Michael Abedin, publisher and editor of Austin All Natural, Austin’s only homegrown natural magazine, is an eighth-generation Reiki Master Teacher in the lineage of Reiki founder Mikao Usui, a consultant and instructor in the use of the flower remedies created by Dr. Edward Bach, and a long-time professional martial arts instructor. 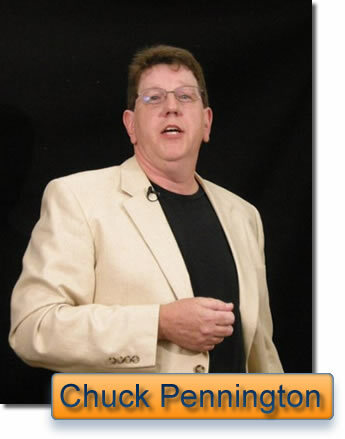 "Master of the Mastermind," and Joe's Miracles Mastermind co-pilot, Chuck Pennington will show you how to harmonize with the Universal Mind and take that energy home with you. Have you ever gone to a seminar, gotten home, and a week or two later that "seminar buzz" wears off and you're right back where you were? Chuck will show you how to maintain that buzz and to make sure that not only your thoughts, but your actions stay in harmony with the clearing and cleaning energy of the weekend. At the end of the weekend you will have your own Mastermind group! Some of the Mastermind groups created at Joe's events have lasted years and their members have reported creating absolute miracles in the lives of the entire group! Dr. Mary Oz is a therapist and Change Expert who has been a Licensed and Certified Social Worker for 30 years and a Life Coach for 15 years. She has been teaching Ho’oponopono for the past 3 years in a group setting and has developed a 7 Step Ho’oponopono Express Action Plan that her students get astounding results with. Get ready to learn how to take the 30 - Day Ho’oponopono Challenge, and tap your way to Radical Change and Radical Healing! Discover what it takes to experience the “Ho’oponopono Unexpected Positive Twist” with ease and grace, so that you can transform all aspects of your life! Essential oils have many health, mood, and energy rewards. We are all inundated with low-vibration frequencies in our daily lives. Natural plant based essential oils that are responsibly sourced and infused with powerful energy give your body the higher vibrations it craves. Your inner scientist will love learning how the work of respected researchers like Dr. Candace Pert and Dr. Masaru Emoto inform our scientific understanding of the beneficial effects of this practice, and you will love learning to construct and cement a new level of consciousness with essential oils and Ho'oponopono. Clearing blocks and old programming does not have to be painful, it can be a joyous celebration and beautiful creation. 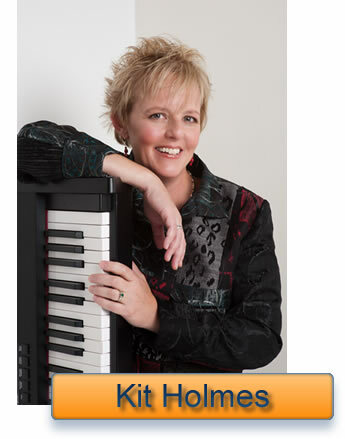 Dynamic performer, brilliant songwriter, engaging speaker and highly sought-after coach. Those are just a few things fans of Kit Holmes have to say about her. She’s been wowing audiences around the country with her “musical keynotes” which seamlessly blend an empowering message within equally powerful and soul-shifting songs. These songs convey a lot of humor (and compassion) for spiritual beings having very human experiences. Kit affectionately dubs her music “piano-driven Americana” which effectively encompasses jazz, pop, R&B, folk and even some New Age. The genres run the gamut but it’s Kit’s soulful and authentic voice that ties them all together. Her sixth studio album, “The Bridge”, recorded at the renowned Blue Rock Artist Ranch and Studios in Wimberley, TX is due for release this Spring. The Labyrinth Walk begins with a guided, musical meditation by Kit Holmes. Participants will be led to the labyrinth walk in silence, focusing on the intentions of the Ho’oponopono prayer, allowing Spirit to guide the pacing of the walk. 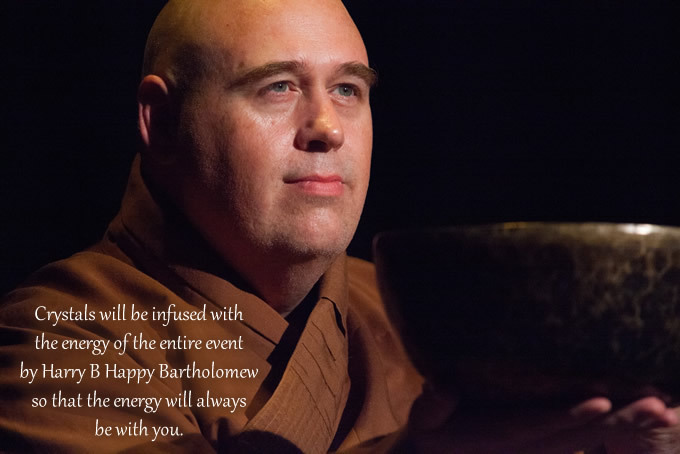 Harry B-Happy Bartholomew is a former Buddhist Monk, music producer and energy healer practicing and teaching Reiki, Adhisthana healing, Medicine Buddha healing, 42 eyes and hands of the Great Compassion Sutra, that first started practicing Ho’oponopono in 2008. One of his main practices is his work doing empowerments using Gongs, Singing Bowls, and Ho’oponopono. 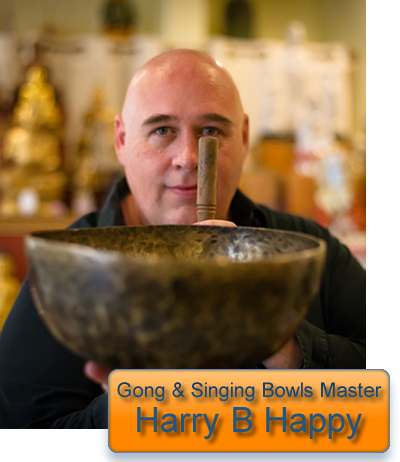 During this seminar, he will not only perform these empowerments for all in attendance, but will also talk about his journey, how he uses his gongs and bowls as cleaning and empowerment tools, and how you can develop your own tools. Ho'oponopono Crystals will be attuned with the Energy of the Entire Event! And you get to take one home with you! 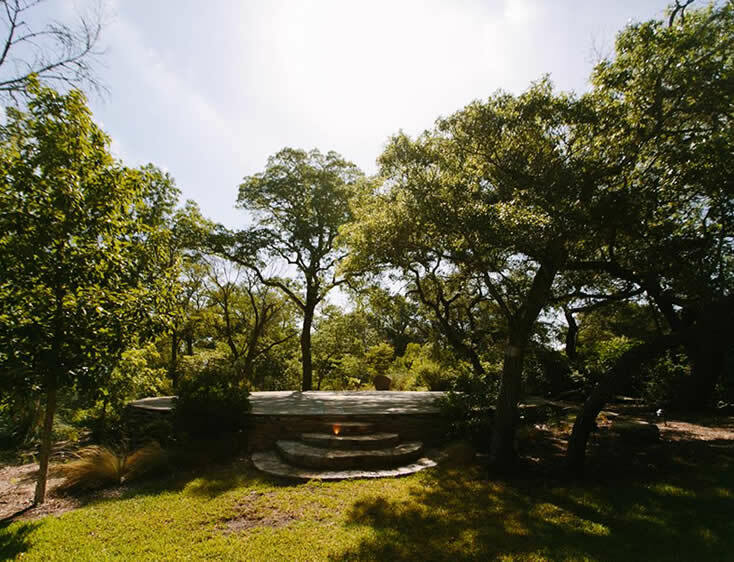 We will meet at the fabulous Red Corral Ranch in the natural beauty of the Texas Hill Country. 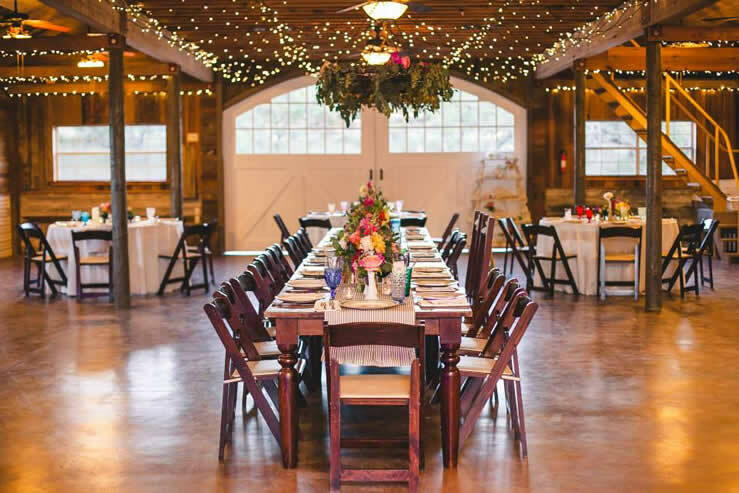 The Red Corral Ranch is a hidden gem in the heart of the Texas Hill Country, featuring a variety ofcasually elegant indoor and outdoor ceremony sites nestled in 1100 acres of rolling hills, grand oaks, and spectacular wildflowers. These are a few photos of the AMAZING grounds and facilities at Red Corral Ranch. Click this link to find out more about Red Corral Ranch. Only 20 6 0 on site accommodations remain. Book now and reserve your spot on site. On-site accommodations are full, however, there are many options for nearby accommodations are available. Please contact Caroline to discuss off-site accommodations. These are extremely limited and will sell out fast! Places to stay near the event site. For other accommodation options, Wimberley Lodging has many. Please contact Caroline to discuss any dietary issues you may have. Click here for the airport web site. Click here for the airport website. Please contact Caroline to discuss any questions you may have. Registration is $1000. Meals are included. You will be responsible for the cost of your accommodations. The Additional Ho'oponopono Healing Master Practitioner training session is $500. This fee will be waived as a scholarship if you join Dr. Vitale's new consulting staff.